Forecast trends suggest that Hurricane Florence, which is currently swirling away as a Category 4 storm in the open Atlantic, could make a run at the East Coast by early next week — though there's still a great deal of uncertainty. What we're watching: Weather patterns across the Atlantic as well as a broader cycle of atmospheric circulation, known as the Madden-Julian Oscillation, are combining to make the Atlantic far more favorable to storm development than it has been all season. 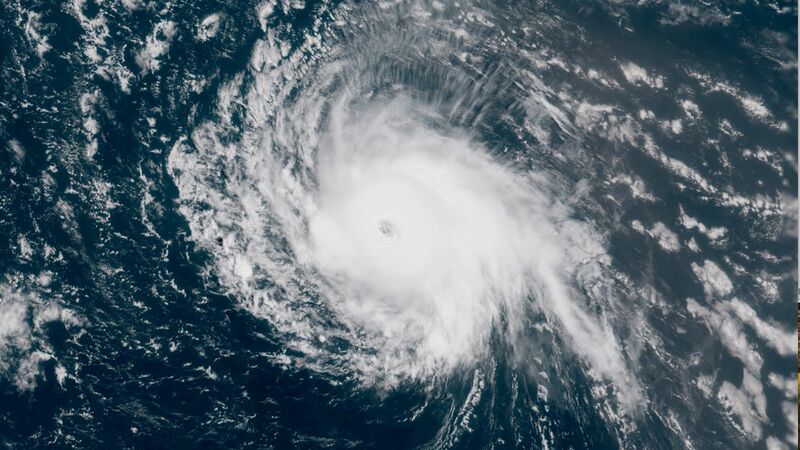 The details: Florence is now the first major hurricane — at Category 3 intensity or above — to form in the North Atlantic Ocean basin during the 2018 season. The same sprawling area of high pressure that's been producing record heat and humidity across the eastern U.S. could steer Florence westward toward the East Coast. Previously, computer models were favoring a track out to sea, potentially affecting only Bermuda. The westward shift is partly because the clockwise circulation around the high pressure area will cause winds to blow from east to west at mid-to-upper levels of the atmosphere near where Hurricane Florence is projected to be in a few days. The European model, considered to be the most reliable medium-range forecasting model, shifted its forecast for the storm overnight and Wednesday morning with a track toward the East Coast early next week. The American model, known as the GFS, shows a similar, though not identical, scenario. Be smart: We're now approaching the climatological peak of the Atlantic hurricane season. The fact that there are storm threats is not surprising, but those on the East Coast in particular should pay close attention to forecasts for Florence — as well as the storms to follow. Editor's note: This story was updated to include the increase in Hurricane Florence's intensity on Wednesday afternoon.